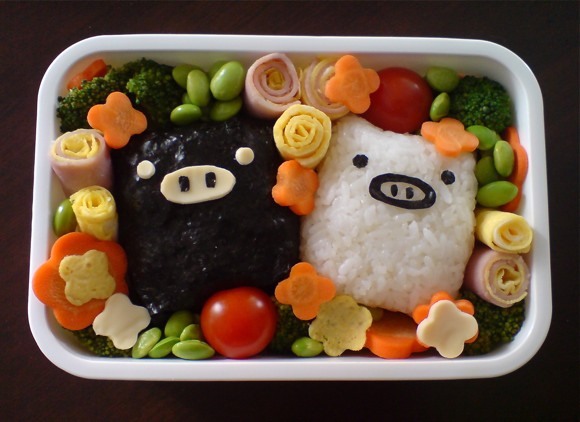 … make bento lunches, a cute box filled with rice (usually, or a carb), meat and veg and fruit, in a pretty form, and often painstakingly shaped and decorated. 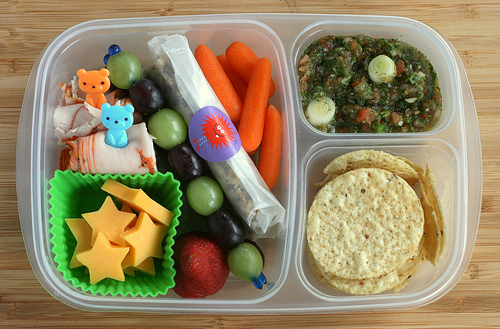 If ever there was a way to get your kid to eat their fruit and veg, this was it. 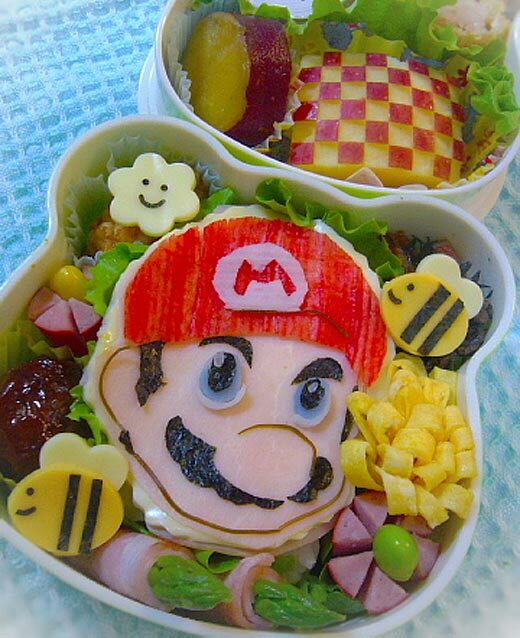 And if ever there was a way to make every other kid feel inadequate with their Marmite sandwiches, this was it too. 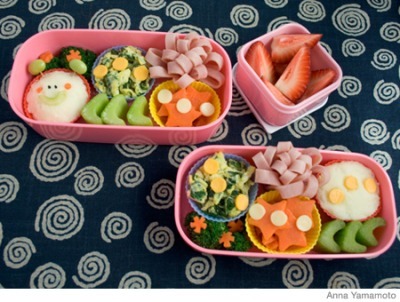 There are hundreds of recipes, blogs and books on bento lunches, and I’d love to meet someone who made bento so I could give them a high five. Make that a 10. 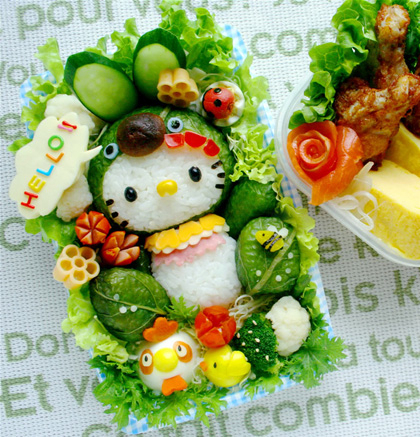 Perhaps I’ll attempt some Hello Kitty bento one day. 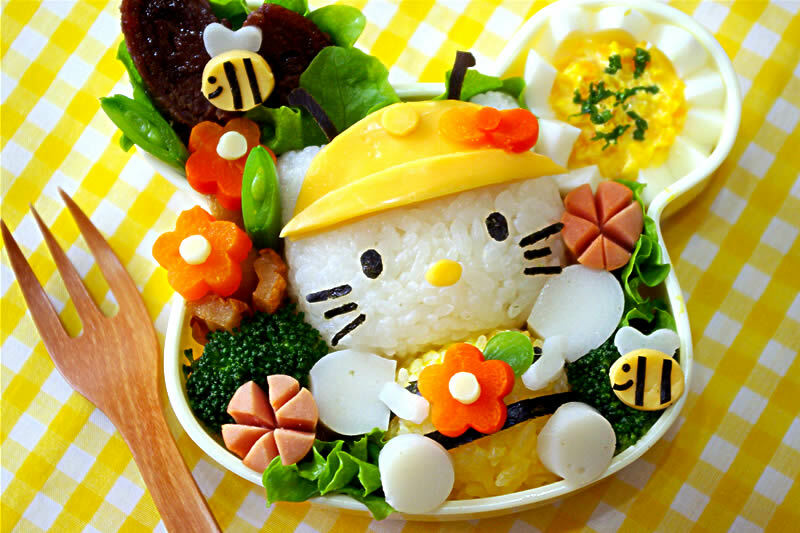 I’d just attach instructions that it’s way too good to eat. The best I could muster is probably a picture of the lunch with the Marmite sarmie. Oh my soul! Perfect. But who has time?